INDIANAPOLIS, Indiana, March 20, 2012 (ENS) – Six animal conservation leaders have been selected as finalists for the 2012 Indianapolis Prize, a $100,000 biennial award for extraordinary achievements on behalf of endangered or at-risk species. The finalists, all of whom hold doctorate degrees, are: Steven Amstrup of Polar Bears International, Markus Borner of the Frankfurt Zoological Society, Rodney Jackson of the Snow Leopard Conservancy, Carl Jones of the Mauritian Wildlife Foundation, Russell Mittermeier of Conservation International, and Patricia Wright of the Institute for the Conservation of Tropical Environments. “These conservationists’ long-standing commitment and die-hard perseverance to protect endangered species and their environments embodies the mission of the Indianapolis Prize. We are honored to recognize their efforts,” said Indianapolis Prize Chair Myrta Pulliam. The Indianapolis Prize was initiated in 2004 by the Indianapolis Zoo as part of its mission to empower people and communities to advance animal conservation. The Eli Lilly and Company Foundation has provided funding for the Indianapolis Prize since its inception. The Prize Jury, made up of distinguished conservation leaders, will determine the winner of the 2012 Indianapolis Prize, which will be awarded at a gala event presented by Cummins Inc. on September 29, 2012 in Indianapolis. In addition to receiving a $100,000 award, the recipient also receives the Lilly Medal, an original work of art that signifies the winner’s contributions to conserving some of the world’s most threatened animals. The 2010 biennial Indianapolis Prize was awarded to Iain Douglas-Hamilton, founder and CEO of Save the Elephants and legendary conservation figure. Steven C. Amstrup, Ph.D.: Polar Bears International, USA and Canada As senior scientist at Polar Bears International, Steve Amstrup is universally regarded as the most important and influential scientist working on polar bear conservation today. 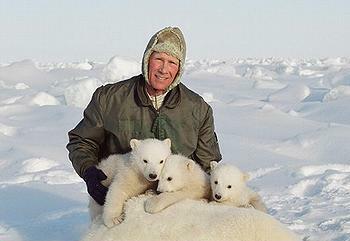 Amstrup led the international team of researchers whose nine reports became the basis for the 2008 listing of polar bears as a threatened species under the Endangered Species Act. This listing is significant because the polar bear is the first species to be listed on the basis of threats posed by global warming, and Amstrup’s groundwork has increased worldwide awareness to help save the species. Amstrup solved the mystery of where Alaskan polar bears go to give birth to their young and developed Forward Looking Infrared techniques to protect dens hidden under the snow. Currently, Amstrup is at the forefront of exposing the threat global warming poses on the future of the polar bear species. His research team examined and confirmed that greenhouse gas mitigation could improve the outlook for this species’ future. Markus Borner, Ph.D.: Frankfurt Zoological Society, Germany Never hesitating to shoulder ambitious, complex and also seemingly hopeless rhino rehabilitation projects, Markus Borner’s efforts have led to the release of 32 black rhinos from South Africa back into their natural habitat, the Serengeti. This marks the world’s largest reintroduction project, initiated in 2010 with the translocation of the first five rhinos. 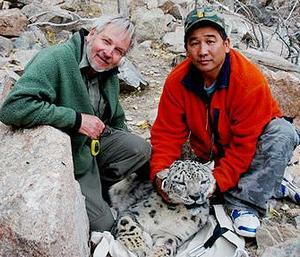 Borner has dedicated his life to the protection of endangered species and sustainable development of protected areas. He has pioneered research on the Sumatran Rhino, a previously unknown species. In Africa, he worked with national authorities and governments on all levels and set up efficient cross-border cooperation between various stakeholders. In addition, he has coached African residents on establishing and maintaining a number of highly ambitious and successful conservation projects. A three-time finalist for the Indianapolis Prize, Rodney Jackson is the world’s foremost expert on the elusive snow leopard that serves as a flagship species for Central Asia’s high mountains. Credited as being the first individual to radio collar snow leopards to track their movements, Jackson has been able to obtain unprecedented data on the species’ movements and behavior. Jackson has enabled Central Asia communities to benefit economically by empowering them to protect the snow leopard and maintain its balanced ecosystem. His actions have ultimately led to fewer attacks by snow leopards, thereby reducing the number of retributive killings by locals. He has demonstrated improved methods of livestock management, such as building “predator-proof” corrals, for which the lives of an estimated five snow leopards are saved per corral. Each of these actions makes a significant impact on the troubled species. Carl Jones, Ph.D.: Mauritian Wildlife Foundation, Mauritius Carl Jones is personally credited with the leading role in saving a dozen species from extinction, including the Mauritius kestrels, pink pigeons and echo parakeets whose effective populations were less than 10 and now range in the hundreds. He has revitalized dozens of degraded islets, controlled invasive species, and re-introduced endemic plants, reptiles and birds to the group of islands that make up the remote and beautiful Republic of Mauritius. Jones has advised on forest protection and restoration, resulting in the creation of the first national park in Mauritius, which remains a crucial watershed. He also pioneered the use of the Aldabra tortoise species to help create ecosystems for extinct species with great success. Today Jones is working on the restoration of the entire Mascarene Islands ecosystem. Russell A. Mittermeier, Ph.D: Conservation International, USA One of the first academic primatologists to become concerned with the sustainability and conservation of primates, Russell Mittermeier was one of the first to see conservation synergies between field research, zoos, biomedical colonies, universities, government agencies and sanctuaries. 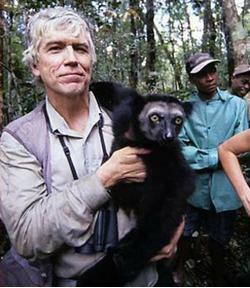 In spite of his role as president of Conservation International, which has become one of the most important conservation organizations in the world, Mittermeier himself remains a classical biologist, escorting expeditions through forests and swamps in New Guinea, Madagascar and Brazil, and discovering a steady stream of new primate species. He is also credited with developing the “biodiversity hotspots,” which has become synonymous with conservation. One of Mittermeier’s most recent ideas has been to push the concepts of primate ecotourism – “primate-watching” and “primate life-listing” – based on the global model of bird-watching. With the largest primate list in the world, he hopes to create the kind of enthusiasm and public interest in primates that has been achieved for birds over the past century and use that to bring more tourist dollars to the remote tropical regions where most primates live. Patricia Wright, Ph.D: Institute for the Conservation of Tropical Environments, USA and Madagascar A field researcher whose work reaches far beyond science, Patricia Wright has become internationally known as a leading expert on lemurs following her discovery of the golden bamboo lemur in 1986, a species that was then unknown to science. That discovery helped catalyze the transformation of Madagascar’s park system, turning it into a model for global conservation efforts. Understanding that community involvement was crucial to her conservation efforts, Wright oversaw the development of a research station, Centre ValBio, at the forest’s edge of Madagascar in 2003. The station currently supports a staff of 70 Malagasy people and many have been trained on site as research technicians to support the work of visiting scientists. In July 2012, Centre ValBio will inaugurate a five-level building with modern laboratories, dorms and high-speed internet, allowing sophisticated research next to the rainforest. 2010: As president and CEO of Save the Elephants, Iain Douglas-Hamilton has been recognized for his relentless protection and preservation of the African elephant. He led anti-poaching aid programs in Africa and continues to sound the alarm about poaching threats spurred by a renewed demand for ivory. 2008: Relentless in his pursuit to save the world’s endangered species since 1952, the world’s preeminent field biologist, George Schaller, Ph.D., vice president of Panthera and senior conservationist for the Wildlife Conservation Society, was the 2008 recipient of the Indianapolis Prize. 2006: The first Indianapolis Prize was awarded to George Archibald, Ph.D., co-founder of the International Crane Foundation. He is credited with contributing significantly to the preservation of the world’s 15 surviving species of cranes, including the whooping crane in North America.